In 2009, Shain reported on the emerging legal duty for employers in Canada to provide and maintain a psychologically safe workplace. The new document reveals that this duty is becoming more coherent and that employers are increasingly at risk of liability for employees’ mental health injuries. It is estimated that financial rewards for damages have increased over the past five years by as much as 700 percent and that between $2.97 billion and $11 billion could be saved annually in Canada if work-related mental injuries were prevented. The report traces seven legal trends, including human rights law, workers’ compensation cases and torts, that are growing stronger every year. It is also noted that remedies are increasingly available to employees. See “Tracking the Perfect Legal Storm: Converging Systems Create Mounting Pressure to Create the Psychologically Safe Workplace,” May 2010, available at www.mentalhealthcommission.ca. See also “Stress at Work, Mental Injury and the Law in Canada: A Discussion Paper for the Mental Health Commission of Canada,” February 2009 (revised version), available at www.mentalhealthcommission.ca. 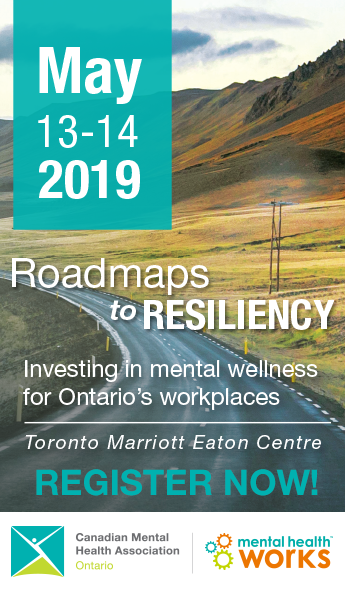 For more on this topic, including an interview with Dr. Shain, see “The Road Ahead: Employment, the Economy and Workplace Mental Health,”Network, Spring 2009, at www.ontario.cmha.ca/network.